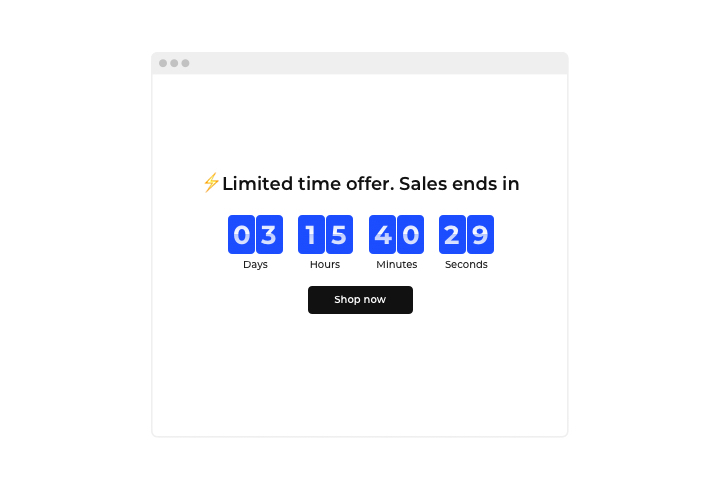 Create sales-rising timers for your website with Elfsight Countdown module. Drum up the atmosphere and set a sense of deficit of your offers, demonstrating how quickly they are sold out. Press users to buy with time ticking down to the finish of the special offer period. Announce your future occasions or product launch and keep your clientele eagerly waiting for them demonstrating a countdown to the start. 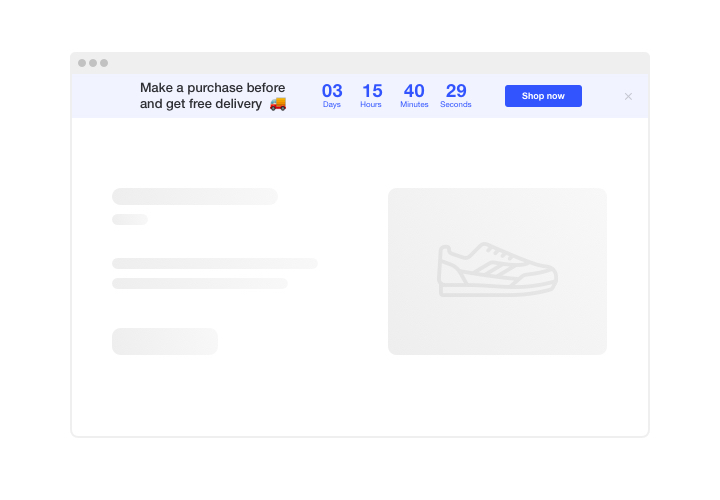 Stimulate your visitors to shop by evoking a sense of urgency. Make your clients feel a fear of missing out your low prices, while the time is ticking down to the finish of it. It will make clients purchase faster and increase sales on your site. 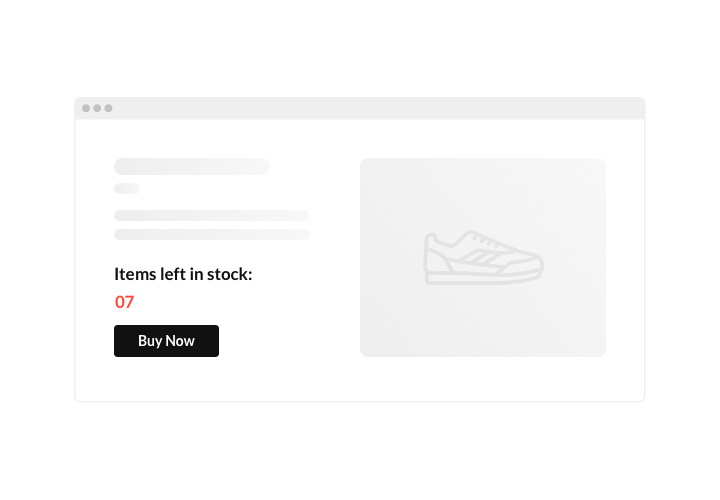 Show the stock is lowering in order to raise perceived value of the items. Create a stock counter, showing that your goods go like hot cakes and become deficit. It will make people value the items more and become eager to acquire them too. 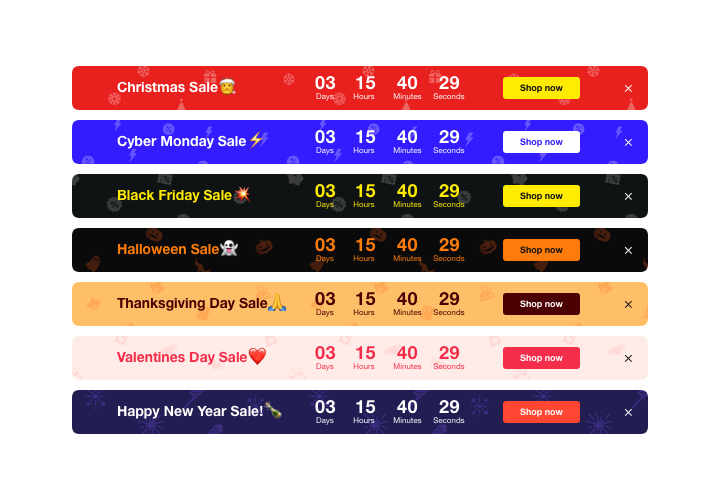 Draw more attention to your sales using a special holiday-theme countdown bar. Display engaging theme sale bar for holidays and special events. 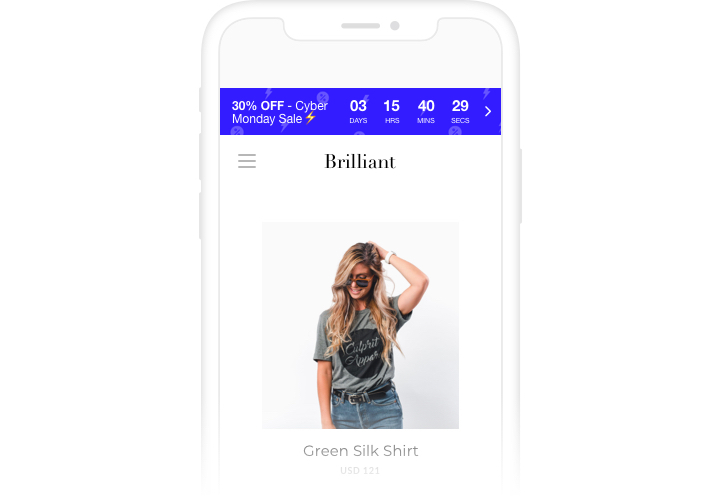 It will reflect holiday mood and promote your great deals to help you sell in the time of profitable season. Test full list of characteristics in demo! Check this concise instruction on adding and setting the plugin. You don’t need to have skills in web programming to manage it. Total duration of the installation is not more than 1 minute. Obtain the extension and install it on the site. Get the extension using «Download» button on Countdown page on Joomla Marketplace. Embed the extension on your site. Install and adjust the extension. Open «Install Extensions» page, then go to «Upload Package File» tab, and install Countdown Clock. After that, find «Components» section, select the installed extension and configure it to your needs. 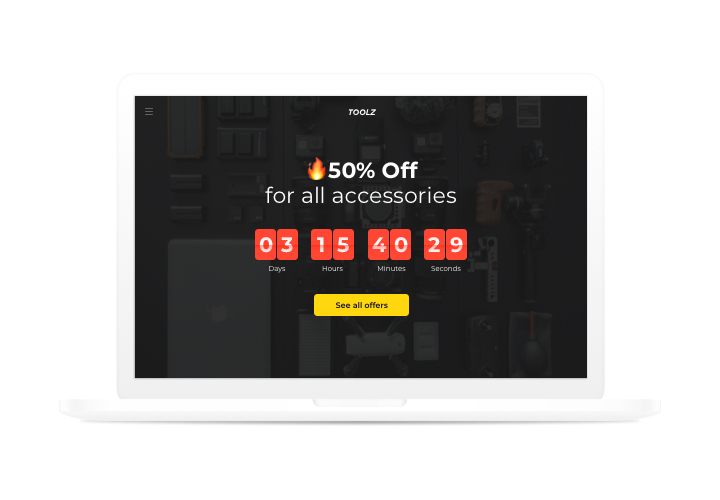 Add Countdown extension to your website. Save the personal code, acquired after installation. It should be inserted into the desired page. Then publish all the edits. Visit your site, to check your extension! If you have any problems or questions with installation? Leave your message to Elfsight support team with an explanation of the problem. We will do our best to provide solutions. Design your own Joomla Countdown Timer in only 1 minute!